Just take a look at some of Julio's works...absolutely wonderful! Julio handed me the view of the Casa do Passal in Cabanas di Viriato, Portugal wrapped in brown paper ready for transport and then he presented me with a memento. 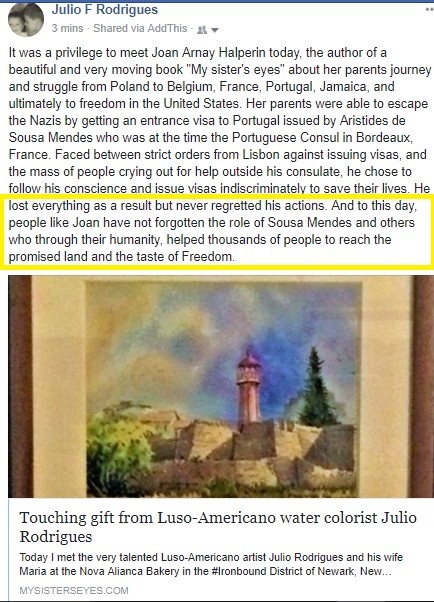 What can I say about the Portuguese people, except the tradition of warmth and generosity that my parents experienced during their 20 months in Figueira da Foz (June 1940 - January 1942) is still alive.